BENGALURU, India, July 11, 2018 /PRNewswire/ -- Honeywell (NYSE: HON) today announced its Honeywell Connected Plant technology is helping drive more reliable and efficient operations at Deepak Phenolics Limited's (DPL) phenol and cumene plant in Dahej, Gujarat, India. DPL is using Honeywell Connected Plant UniSim® Operations to train process operators on safe, efficient and incident-free startups and operations. Honeywell deployed the operator training simulator (OTS) technology two months ahead of schedule, taking only five months from the kick-off meeting to site acceptance test. This was the first time the OTS system was developed on Honeywell UOP's Q-Max™ cumene technology, which is based on highly selective, stable and regenerable catalysts. This latest generation of cumene technology provides higher yields, improved product quality and lower utility consumption. "The collaborative efforts from both companies will result in fewer process upsets and improved environmental performance, while positively contributing to employee health and safety at Deepak Phenolics' plants," said Rahul Khare, regional business leader, Honeywell Connected Plant. "DPL is currently able to effectively train operating personnel on various production and emergency scenarios faster and more efficiently than through other alternatives." Customized process scenarios helped field and console operators to understand and practice normal operations and emergency conditions prior to the commissioning of DPL's cumene plant. 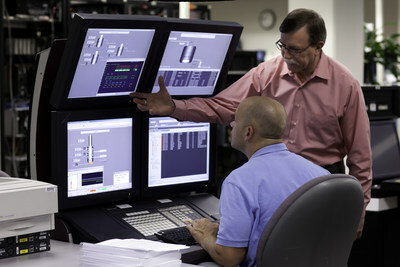 The Honeywell Connected Plant solution accelerates knowledge transfer by consolidating an entire lifetime of experience into a concise operator training curriculum. "Our company has realized significant benefits by optimizing less expensive feed for startup, identifying gaps in controller actions and preparing a smooth start-up procedure with high reliability and minimum hydrocarbon loss," said Jay Shah, technology lead, Deepak Phenolics Ltd. "The OTS model delivered to the Dahej facility was customized to our needs and is a best-in-class solution for training operating personnel."